Let's share some great ways to say thanks to your father, including some quotes and thank you note samples. It's not easy being a dad. You go from being the smartest man in the world to the guy who doesn't seem to know anything â€“ at least that would be the opinion of many children. Of course, as you get older, you can fully understand all of the wisdom that you father has. You may also have grown to appreciate all of the sacrifices he made and the hard work that he did for his family. For some people, sitting down and writing a thank you note to their father can be a very difficult task. Here are some tips to help you get started. Jot down some of your favorite childhood memories. You can use these in your thank you card. Did your dad work really hard to provide for you and the rest of the family? Consider including this in your thank you note. Even if you have some negative memories â€“ and many people do â€“ leave them out. This is a thank you note for the positive things that your dad has done. He is likely very well aware of his shortcomings and failures. Let this note focus only the positive. Now that you are ready to get started, below you will find some examples of great quotes to include in your thank you card as well as a couple of sample thank you notes for how to thank your father. 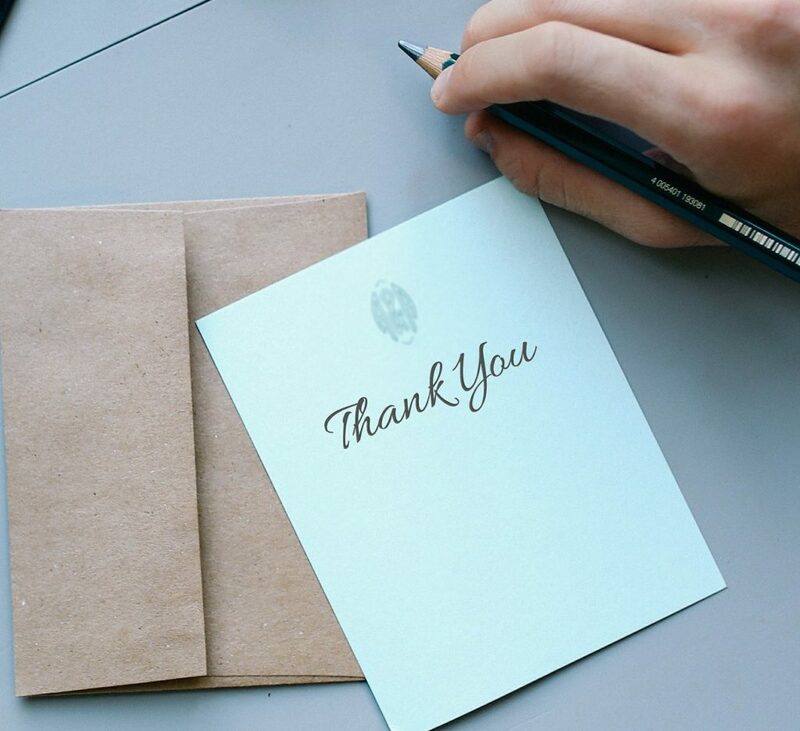 Need a little guidance on what to say in a thank you card? Below are two sample thank you notes for fathers. I know that I don't tell you this enough, but you are the best dad in the world. The older I get, the more I realize that this is true. You gave me such a happy childhood. I love remembering long walks with you, drives to get ice cream on a hot summer night and last minute trips to the movies. I know that you had to work so hard for us, and I appreciate it so much now â€“ even though I know I didn't back then. Thank you, daddy, for everything that you've done for me. I can't imagine what my life would have been without you in it. I have something to tell you. You were right. You were right about almost everything. I know that when I was growing up, I treated you like you didn't know a thing, but as I get older I realize how much wisdom that you have, and I am so thankful that you have shared so much of that with me. I know that when I start my own family that I will have my experiences as a child to draw on. You have shown me what it means to work hard, make sacrifices and to guide your children down the correct path. You have given so much to me, Dad, and there is no way that I could ever repay that debt. Just know that I love you, and that every day that I live and with every choice that I make I will try to make you as proud of me as I am of you. Now matter how you go about it, it's so important to thank your father. Taking a father's sacrifices for granted is common, but just imagine how much it would mean to your dad to get a thank you note that would let him know that you do understand and appreciate all he did and continues to do. Help inspire others by submitting cool ways to thank your dad, and we'll publish them on this page!